Nifty opened positive above the psychological level of 5800 and gained strength with every passing hour to the end the day near the highest level at 5909.70, a huge gain of 129.65 points. The broader market was also strong, with 860 advances to 450 declines. Strong support is being built around 5800 level. 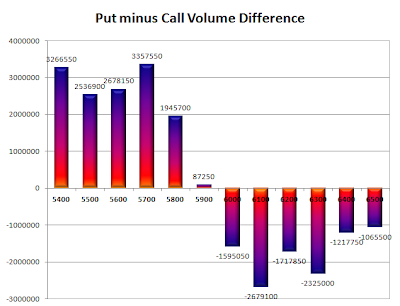 Call option 6100-6500 added 12.50 lacs huge amount of OI with short covering seen at 5900 and below strike prices. 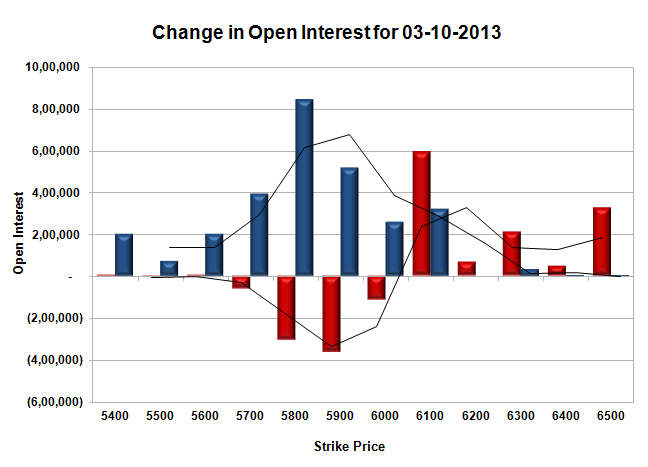 Put option 6100-5400 added 28.11 lacs huge amount of OI with not much change at other strike prices. 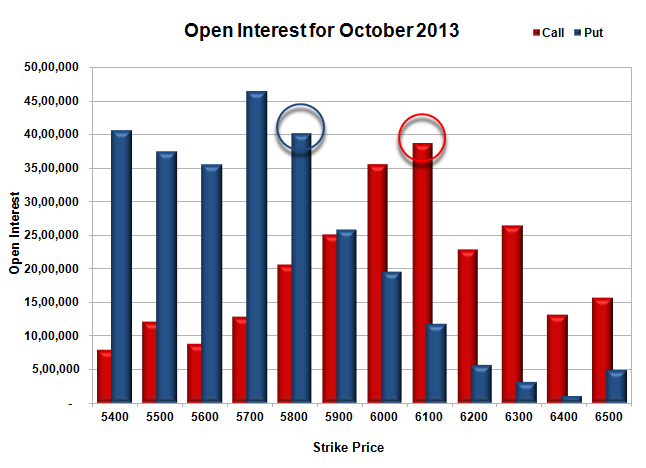 Nifty Open Interest is at 1,73,43,050 up by 10,09,300, with increase in price, most probably huge long build-up. Bank Nifty Open Interest is at 18,93,100 up by 98,600, with increase in price, most probably huge long build-up. FII’s bought huge 4.21 lacs Futures, mostly long build-up, as their net OI increased by 7757 contracts (includes 67690 longs and 59267 shorts) and the average price per contract comes to around 5848.79. FII’s future open contract as on date is 421461. 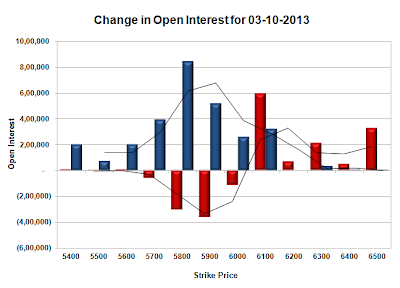 PCR Open Interest (Volume) is at the highest point of the series at 1.323. 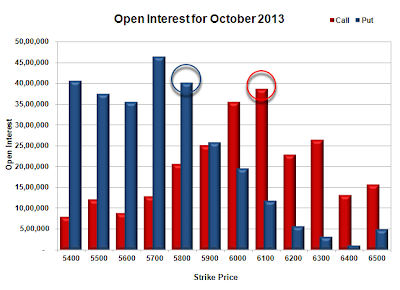 Initial support up at 5900, with huge addition for the day of 5.17 lacs, below that at 5800, with OI of 40.12 lacs. Initial resistance at 6000, with OI of 35.60 lacs, above that at 6100 with huge OI of 38.71 lacs. 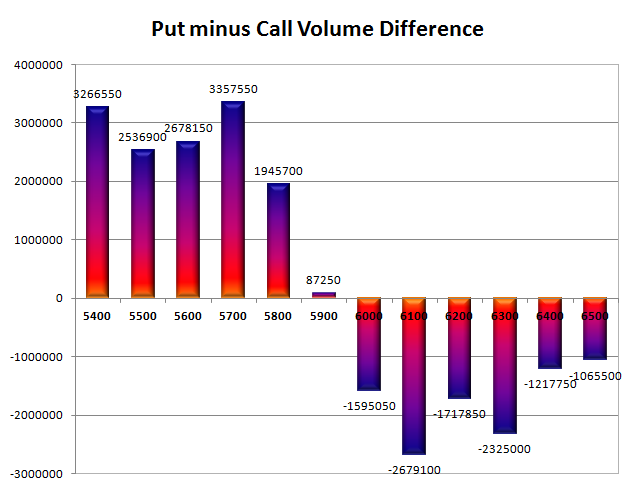 Day Range as per Option Table is 5798 - 5974 and as per VIX is 5832 - 5988 with 5877 as the Pivot.